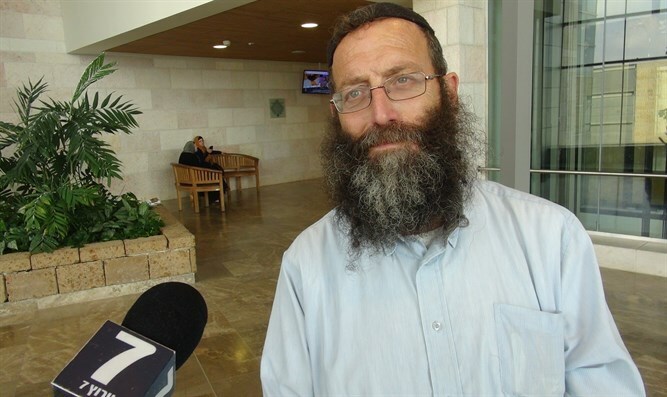 Right-wing activist Baruch Marzel visited Evenezer Holhering, a resident of Kiryat Arba who was seriously injured in Friday's terror attack in Gush Etzion, at Hadassah Hospital in Jerusalem. On Friday, they set up a ‘mosque’ here with 60 people from the [Arab] village and prayed. If I pray here, Hadassah will throw me out. The time has come for the Israeli government to stop humiliating its victims and the people of Israel. The terrorist must not be treated. A terrorist must die as soon as he comes to harm Jews. "